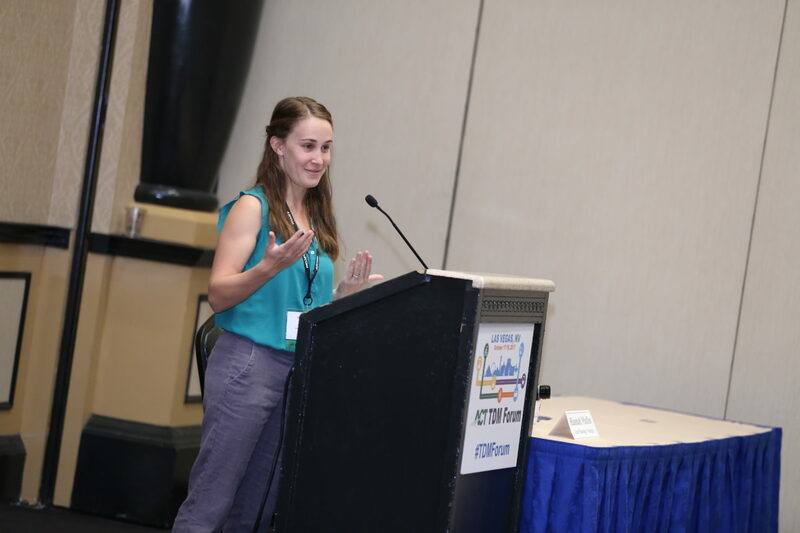 Alta Programs Specialist Hannah Mullin was one of “40 under 40” recognized by the Association for Commuter Transportation as outstanding leaders in TDM. As an emerging leader in the industry, we asked Hannah to share some of her thoughts about TDM. For our readers not familiar with it, what is TDM? TDM stands for Transportation Demand Management (not Tiki Death Motorcross, as a colleague once suggested). In our world today, we are facing serious challenges when it comes to improving mobility—challenges that we can’t build our way out of. This is where TDM comes in. TDM offers strategies to reduce single-occupancy vehicle trips and encourage the use of active and shared transportation options. Who do you have to thank for High-Occupancy Vehicle (HOV) lanes and congestion pricing, you ask? The answer is TDM! While the list of TDM strategies is seemingly endless, my work primarily focuses on changing transportation behaviors through Individualized Marketing programs (commonly known as Smart Trips programs), Community-Based Social Marketing campaigns, and behavior change techniques like Motivational Interviewing. Why is TDM an important component in expanding mobility options? Imagine you are in charge of managing the demand for a product that everyone needs. For the sake of this example, let’s say this product is toilet paper. Now, let’s add a few constraints to the toilet paper market: there is a sudden shortage and the price increases dramatically. With such constraints, solutions to decrease demand, like educating people on how to ration toilet paper, are critical. When we think about mobility in terms of a product that we use in our everyday lives, managing demand in the face of major constraints is essential to maintaining and improving our quality of life. We can’t always add more lanes to decrease traffic. Even when we do, it comes with costs like pollution, the destruction of communities, the loss of valuable land, and the induced demand that comes with increased capacity. Likewise, we can’t always add more parking spots for employees and customers when the garage is consistently full. By introducing TDM strategies into situations like these, we can offer cost-effective and creative solutions to encourage and incentivize people to change their travel habits. Name a few of your favorite TDM-related projects you have worked on at Alta. What helped make them a success? Honestly, it’s the little moments in projects that get me. It’s the personal interactions with our participants that remind me why I love my work. 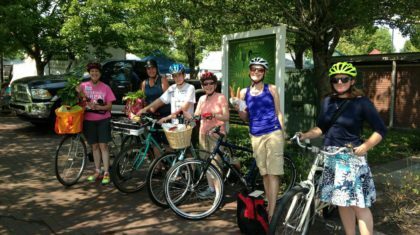 A few years ago we hosted a Little Free Libraries bike tour in Salem, OR. On that tour, two people who lived on the same block met each other for the first time and hit it off. 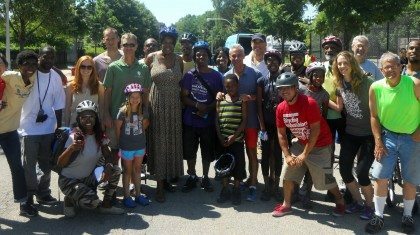 Seeing people form connections and build community together while walking or biking is a beautiful thing to be a part of. The people we hire for many of our projects to be the “boots-on-the-ground” outreach ambassadors are what help make our projects successful. 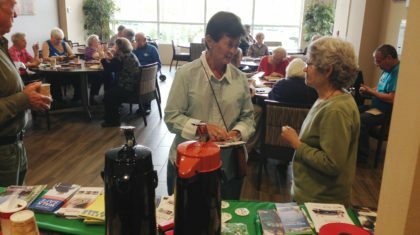 These ambassadors, who typically live in or near the community, are dedicated to helping people. We wouldn’t be able to do what we do without them.